You have added Like A Diva Art Silk Designer Anarkali Suit With Embroidered Jacket to your Shopping Bag! Elegance personified! 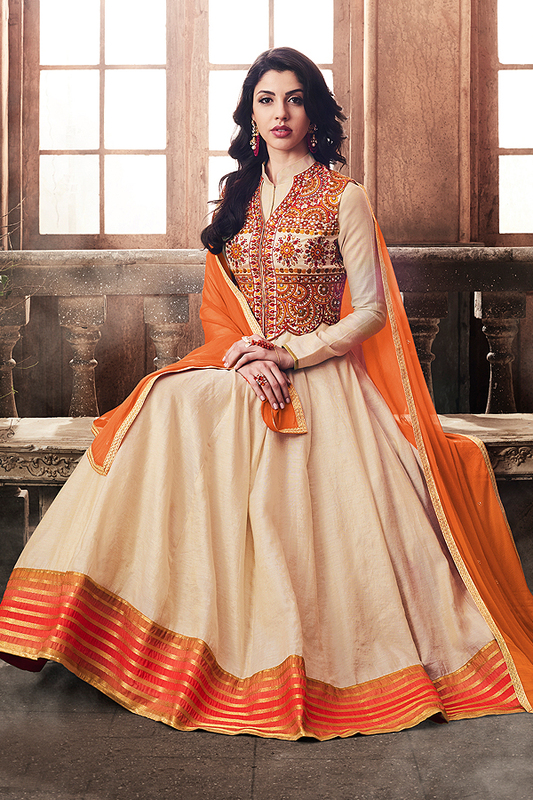 This off white lurex base silk floor-length jacket style anarkali suit adds to your grace. 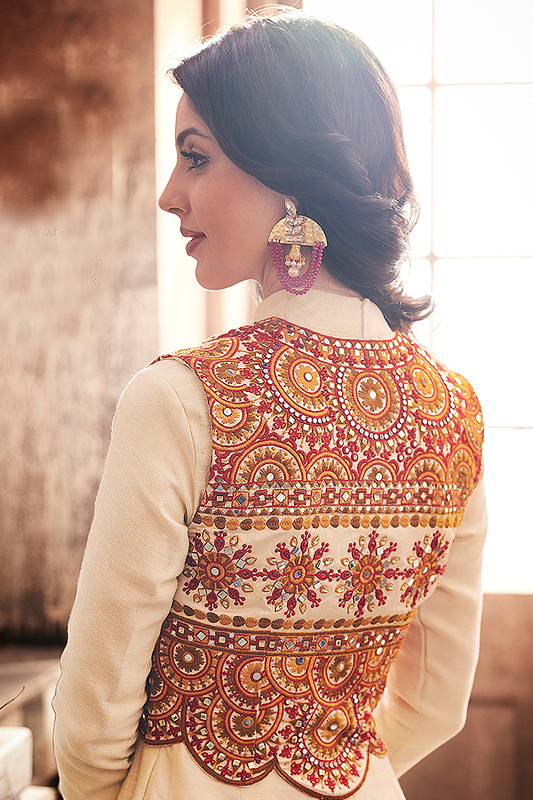 The collared neckline of this anarkali complements the broad reddish-orange border with golden zari embroidery. Stunning front open jacket with multi-colour thread embroidery along with mirror and stone work is the focal point of the complete outfit. Dusky orange chiffon dupatta with sleek golden border and off white shantoon bottom completes the look.